A floating iceberg became wedged against an Antarctic land mass and has doomed a colony of penguins, who must now travel more than 37 miles to its nearest food source. It's bad enough when your favorite take-out place closes, but imagine there not being any more restaurants, or even grocery stores, for almost 40 miles - and you don't have a car. 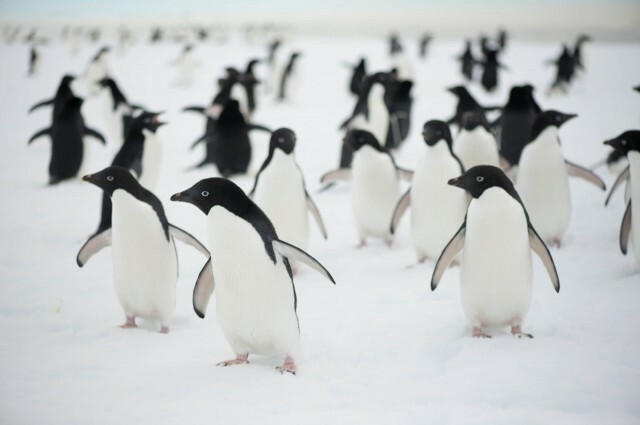 That is essentially what is facing a colony of penguins after a floating iceberg became wedged against a land mass in Antarctica and cut off a colony of more than 160,000 penguins near Cape Denison in Commonwealth Bay from their nearby food source. The mishap effectively landlocked the colony, forcing them to travel more than 35 miles to the nearest coast for food. The iceberg, roughly the size of Rome and measuring almost 1,800 square miles became trapped in the bay in 2010 and lodged against a glacier, cutting off the local fishing hole. 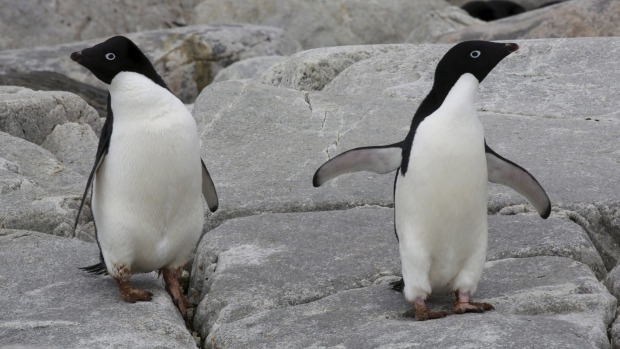 Since 2011, the colony of Adelie penguins has dwindled to about 10,000, with no relief in sight. 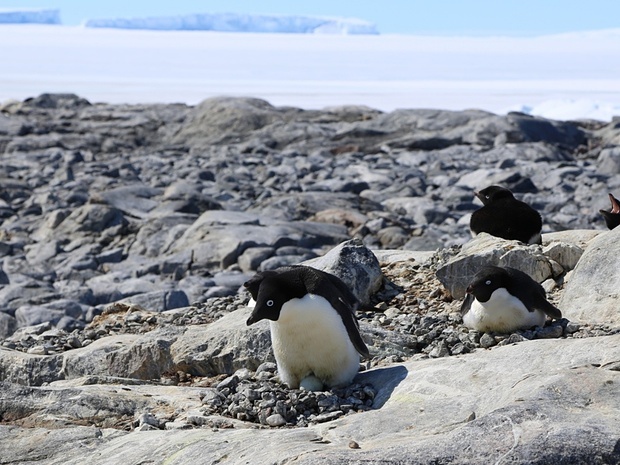 The colony was tracked and recorded as part of the Australasian Antarctic Expedition, led by University of New South Wales Professor of Climate Change and Earth Sciences, Chris Turney. He said that particular colony has been recorded for more than 100 years and that researchers back then complained of the noise. "It's eerily silent now," Turney said. "The ones that we saw at Cape Denison were incredibly docile, lethargic, almost unaware of your existence. The ones that are surviving are clearly struggling. They can barely survive themselves, let alone hatch the next generation. We saw lots of dead birds on the ground ... it's just heartbreaking to see." 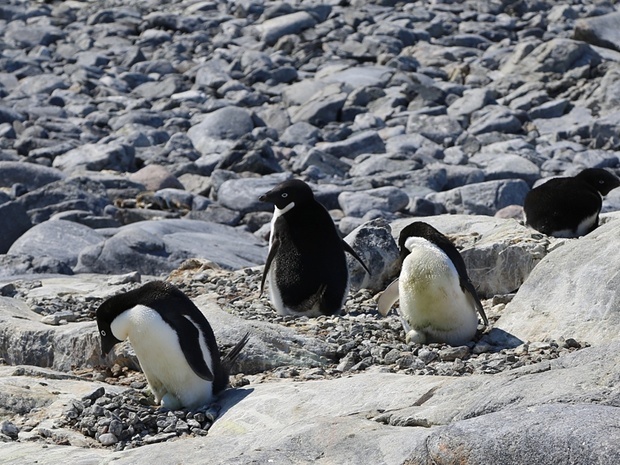 "The arrival of iceberg B09B in Commonwealth Bay, East Antarctica, and subsequent fast ice expansion has dramatically increased the distance Ad?lie penguins breeding at Cape Denison must travel in search of food," the team said in an Antarctic Science article. "The Cape Denison population could be extirpated within 20 years unless B09B relocates or the now perennial fast ice within the bay breaks out. This has provided a natural experiment to investigate the impact of iceberg stranding events and sea ice expansion along the East Antarctic coast." 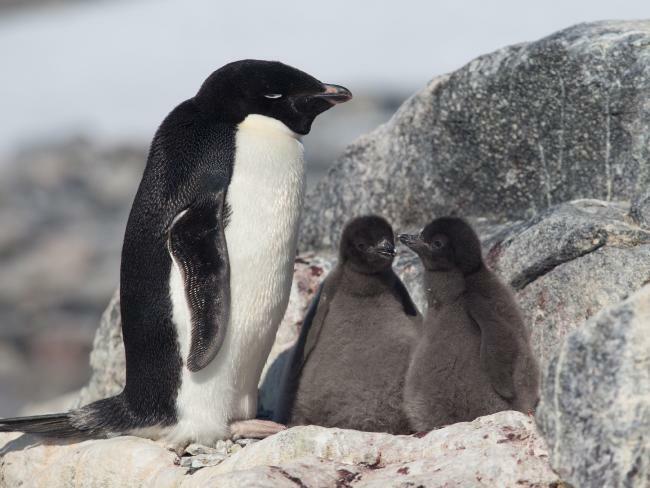 Dr. Kerry-Jayne Wilson, of the West Coast Penguin Trust and co-author of the study, said the iceberg has totally changed the penguin habitat, leading to "catastrophic breeding failure". She said researchers were heartsick walking "amongst thousands of freeze-dried chicks from the previous season and hundreds of abandoned eggs". 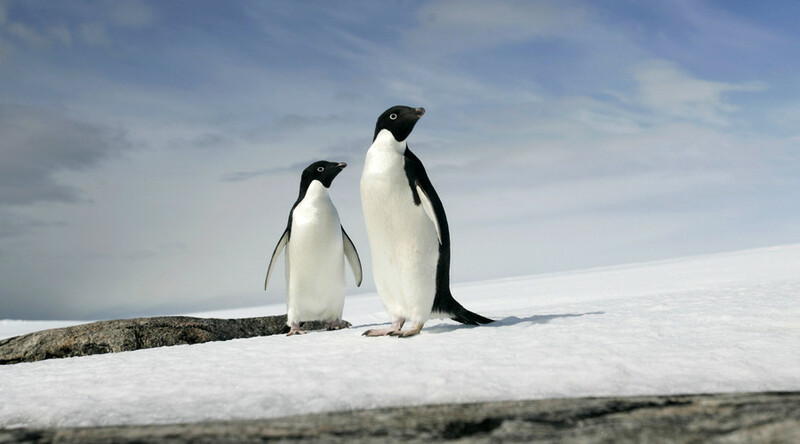 Researchers note that a similar penguin colony located only five miles from open ocean is thriving. It is expected that the Cape Denison colony could be totally wiped out within 20 years unless the iceberg is somehow moved. "Iceberg doesn't really do it justice," Turney said. "It's like a small country, it's enormous. As the planet warms you're going to get more ice melting. The reality is, more icebergs will be released from Antarctica and just embed themselves along the coastline, and make the traveling distances for some of these colonies even further than they have been."